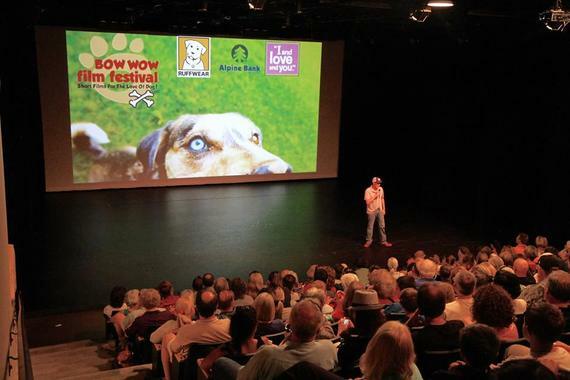 The first time I was able to experience a Bow Wow Film Festival was in June 2015 in Boulder, Colorado. I had been working with Susan for a while, but this was the first show I attended, and it was so much fun! Not only was this my first experience at a Bow Wow show, but it was also my first experience with a film festival. After much debate on what to wear, I showed up in slacks and a dress shirt. Susan immediately handed me a Bow Wow T-shirt that I changed into- fun and casual! After some small talk and walking around the Dairy Center for the Arts, people began to arrive. Susan bought me a beer and told me to have fun. I pulled out my camera and started talking to people as they arrived. Sponsors set up booths and film-goers started filling the space, surrounding the tables and chatting. Boulder Valley Humane Society, the dog organization benefitting from this event, brought a sweet pupper who knew several fun tricks. The room was filled with laughter and buzzing with energy. As the start time became closer, people filled the theater space, I believe it was a sold out show! I was in a whirlwind of excitement, running around taking pictures, saying hello to dozens of friendly faces all with one thing in common: we were here for the love of dog. The first reel of films began and I was hooked. I could not look away! Story after story of these incredible dogs. Some films had the theater rocking with full belly laughter and some had us reaching for the tissues. Amazing! At intermission, we had some great audience participation in handing out fun schwag and treats from our sponsors. The second reel of films was just as powerful as the first. I was in love! I couldn’t wait to go home and hug my dogs, but wanted to watch just one more story… just one more! After the show, several people stuck around sharing even more stories about incredible dogs they had spent time with in their lives. My main take away was this: a film festival is about gathering together to share stories about a topic everyone feels passionate about. 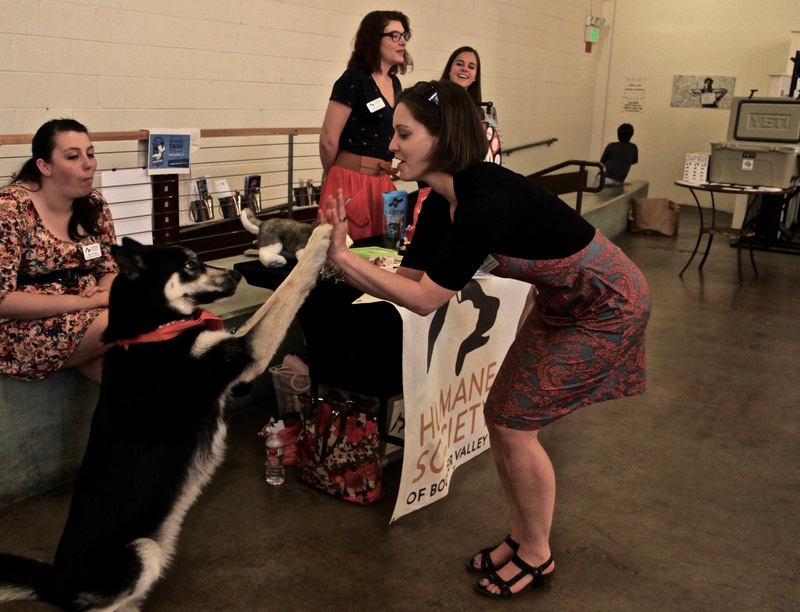 The Bow Wow Film Festival is for the love of dog. Everone there had a dog they loved or had a dog that had made an impact on their life in a big way. 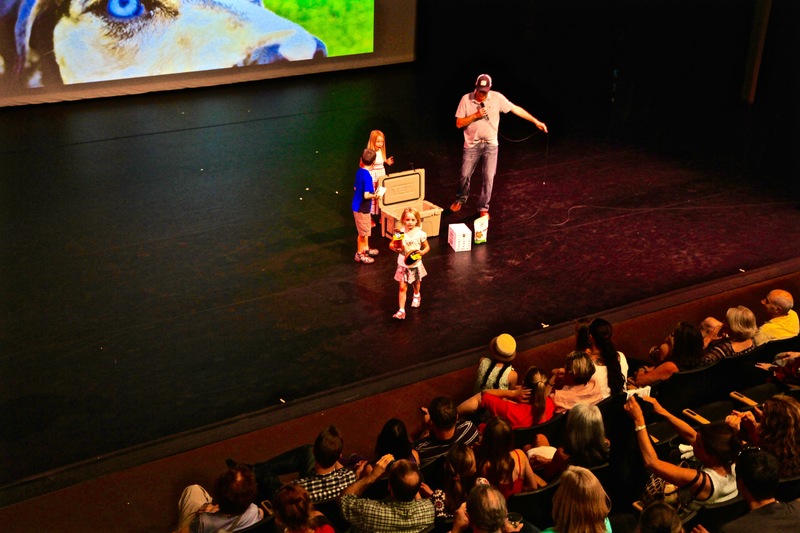 The best part of the show… 100% of ticket proceeds benefited the Boulder Valley Humane society. When a show comes to town, you better fetch up your tickets fast you will love to experience a Bow Wow Film Fest…for the love of dog! Watch the first year of films here!